Rain Coast is based in Victoria BC but has no borders when it comes to dropshipping Canada. We are here to help any Canadian brand with their dropshipping needs. What we do is order screen print your clothing for you then ship Canadawide to your customers directly from our facility. Dropshipping is an order fulfillment program that allows the e-commerce store to integrate with a dropshipper partner (that's us) and has them fulfill all orders from their website. The dropshipper is responsible for printing the clothing, packing and shipping the orders to your customers directly and customer service if issues arise. The goal is to be able to offer the brand peace of mind and reliability when it comes to fulfilling their orders. The brand can then focus on marketing and gaining exposure and sales. We will screen print your custom clothing onto t shirts, hoodies, tanks and many other products then dropship for you in Canada. With a dropshipping Canada way of doing business, you keep you money and instead of spending on a lot of initial inventory for start up, you only need to purchase inventory after the sale has been made. This way you keep your money in your pocket until you’ve secured a sale and profit is guaranteed! Launching a dropshipping Canada business requires alot less luck, money and skill compared to a traditional retail store. You don’t need to worry about location, the neighborhood your store is in, inentory, employees and all those traditional concerns that can make or break a business. 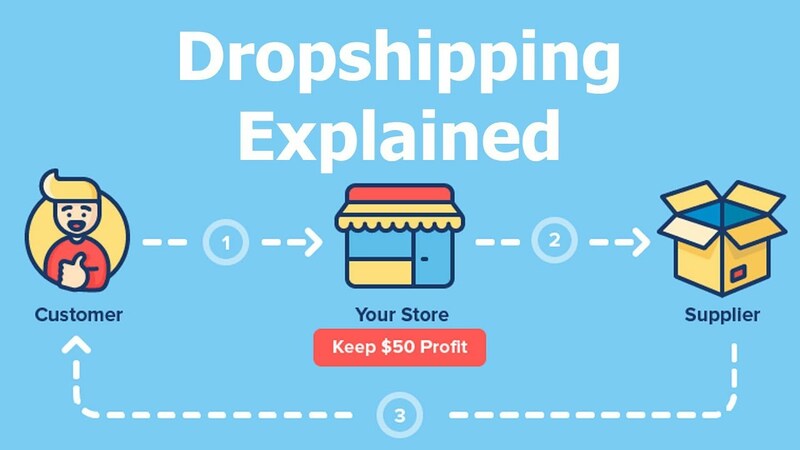 The cost of running your dropshipping business is much lower when you work with a dropshipper Canada like Rain Coast Print Shop. Because there is no requirement to store your products on your behalf, you can really manage your business from home or a small office. This then allows you maximum flexibility and the ability to run your business on your time, and on your terms. This will lead to an improvement in your life and reduce stress. Since you aren’t physically stocking your own inventory, why not increase your product catalog and offer your customers a wide arrange of products? The more designs you come up with, the greater the change your designs will appeal to more people and your sales will increase. T shirt printing is a quick and easy turn around so we welcome more design ideas that we can screen print onto custom clothing like t shirts, hoodies and tanks. The profit margins might be a bit lower with dropshipping since you are paying a dropshipper for all the work they do. There might be problems with inventory from time to time. Suppliers might be out of a certain size or color of your t shirts or products. Canada post could fail. There are strikes from time to time, errors in shipping etc. Complex shipping. If you work with multiple suppliers there can be erros along the supply chain. If you work with one dropshipper like rain coast, this risk is reduced. Is Rain Coast Print Shop the Dropshipper Canada that's right for you?